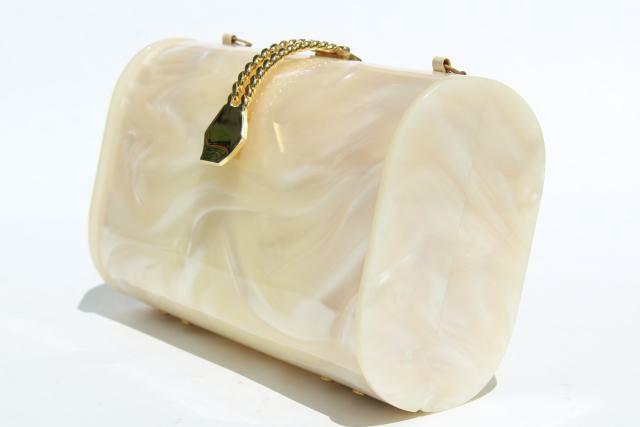 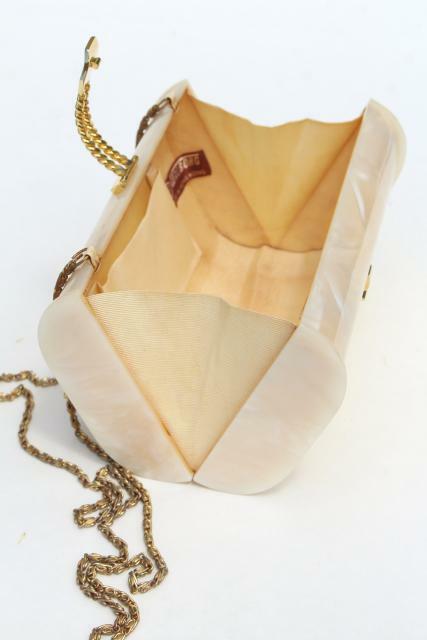 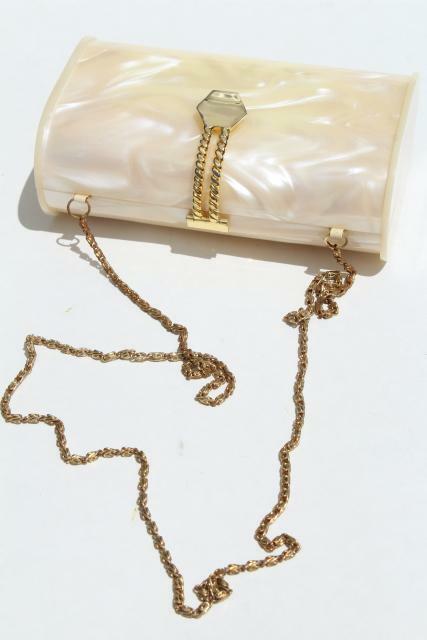 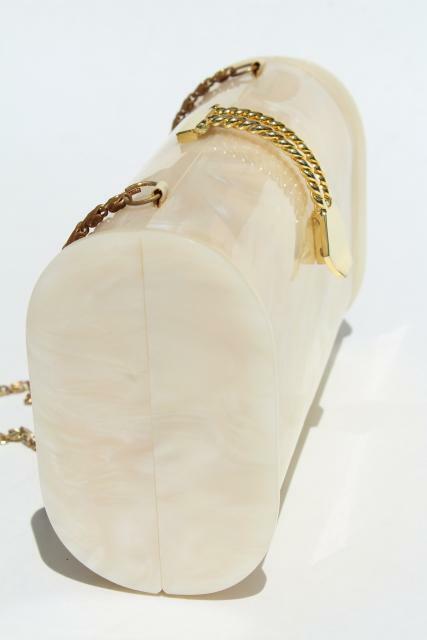 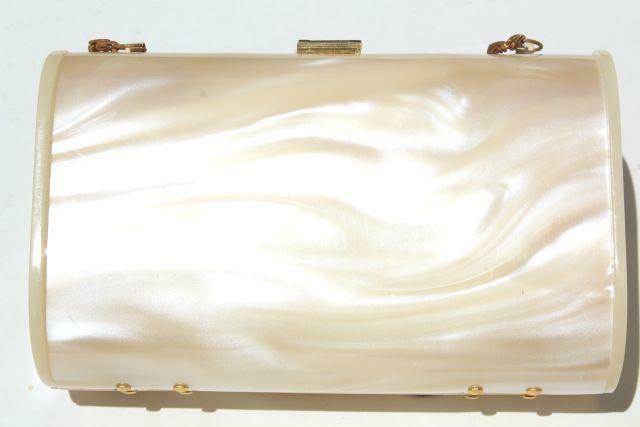 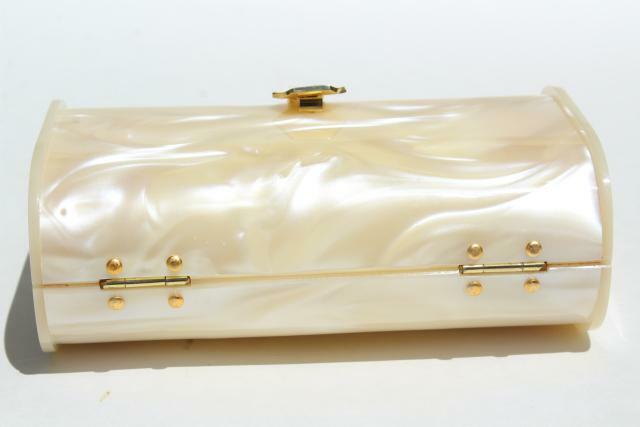 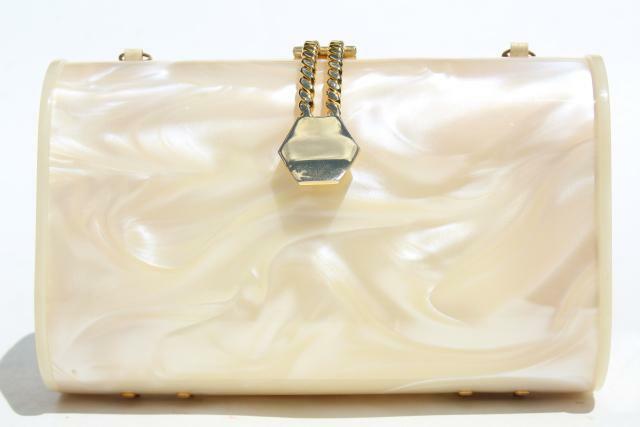 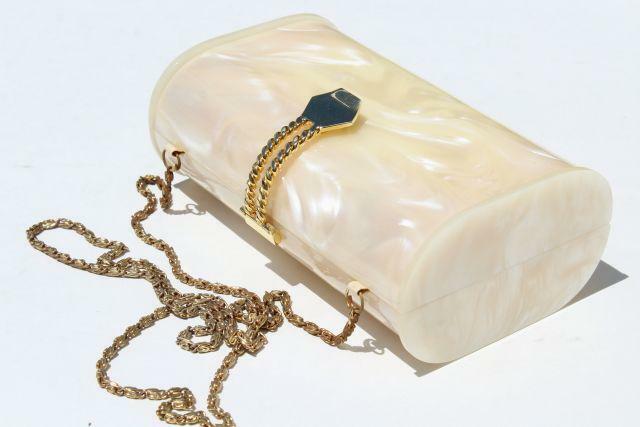 Late 1950s or early 60s vintage pearly plastic purse for evening / formal wear, a hard sided box bag with a long gold chain shoulder strap. 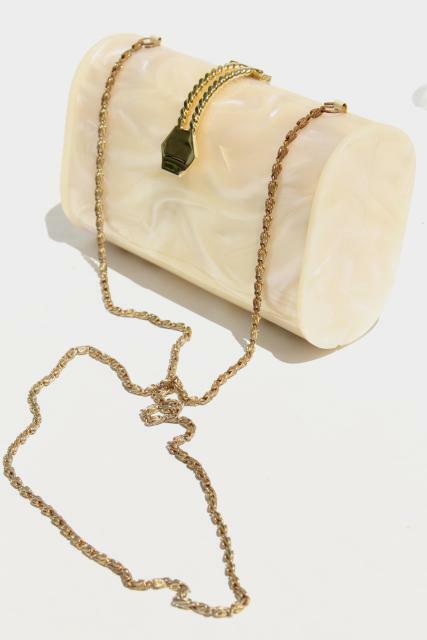 It's made in Hong Kong. 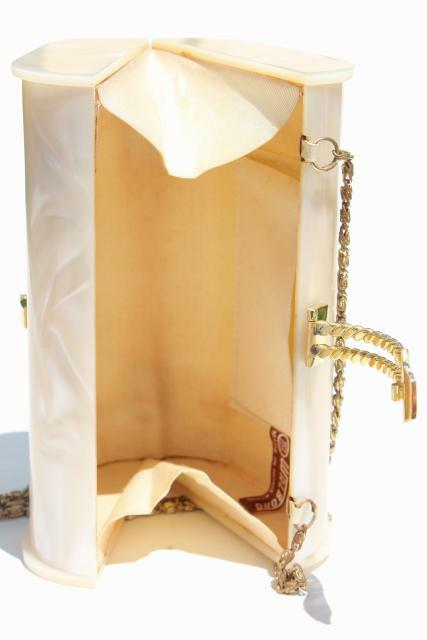 The box measures 7" x 4 1/4" x 2 3/4" over the exterior, with a chain fall of 20" from top of shoulder to top of the purse. 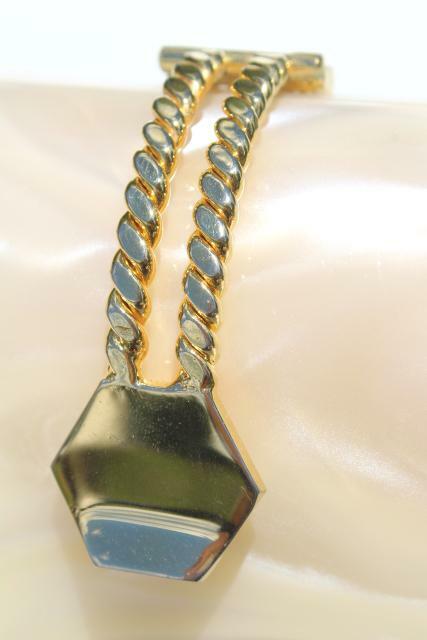 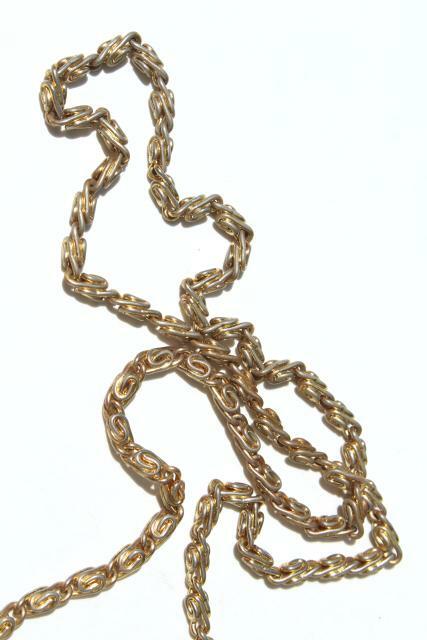 There's soil and makeup marks / stains from use, and some spotting and wear to the gold tone colored chain.